Forced labor remains a reality in Uzbekistan, but the ILO and others are encouraged by the government’s progress. With regard to the Federal Register announcement, relevant departments — the Departments of Labor, State, and Homeland Security — “have determined that the use of forced child labor in the cotton harvest in Uzbekistan has been significantly reduced to isolated incidents,” the notice read. While forced labor remains a reality in Uzbekistan, the ILO and others are encouraged by the Uzbek government’s efforts to eliminate its use. 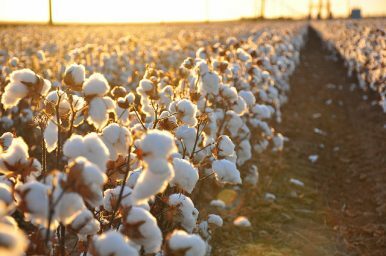 The ILO report, produced after conducting monitoring of the 2018 harvest, offers some of the most positive news to come out regarding the Uzbek cotton industry in many years. The ILO report also lists 206 cases of local hokims, officials, and managers who were punished for forced labor during 2018 cotton harvest. The list only includes the officials’ initials and omits precise locations, for privacy reasons, but as was pointed out on social media by journalists and activists, full names are needed for complete transparency. As Chris Rickleton suggested, this is critical to making sure fired officials don’t just reappear in new positions. The ILO report notes that the full details are known to the ILO Third-Party Monitoring Project. In total, the ILO report shines a positive light on the progress made by the Uzbek government in eliminating forced labor. While, as the report itself states, some of the “legacy systems” that enable forced labor remain in place, the overall trend is significant progress and Tashkent has position itself as a partner in that effort. “In line with the request of its partners in Uzbekistan, in particular the government, this report contains concrete suggestions for action,” the ILO report states (emphases mine). The Uzbek government has been hungry for suggestions, and the ILO delivers those. The challenge will be achieving continued progress after the easy gains are made.